The second part of a complete farm feasibility study is, in a word, money. Before you complete the pasture leasing or buying process, you need to know exactly what you’re getting into. Your feasibility analysis will project the costs, revenue and profits you can expect due to certain livestock management decisions. This allows you to plan your enterprise for maximum profit from the start. Do a feasibility study for each piece of land you’re considering, so you can choose the most advantageous one. Perhaps most importantly, you can use your feasibility analysis as the basis for lease contract or purchase price negotiations. Your feasibility study can be as simple or as complicated as you choose. A more comprehensive analysis will decrease the chance of unpleasant surprises once you’ve started grazing. However, even a few simple calculations go a long way in preparing you for your new venture. I’ll start with the four steps involved in your first-year analysis, then discuss growth for years 2-5. Step 1: One-time startup costs. I define startup costs as things you must buy or money you must spend before you can place any animals on your land. A broader definition is one-time expenditures when you start your enterprise. Figure out how much it will cost for any fencing, water infrastructure, handling facility construction, and soil or forage improvements you need to do before your property is fit for grazing. This is the time-consuming part of your analysis because you may need to do a lot of price research. To get the best rates on fencing materials, water tanks, corral systems and other big-ticket items, check with many companies. Look online or call them. Don’t choose the first supplier you talk to, and make sure to investigate “hidden factors” like shipping costs and large-quantity discounts. Buying locally is preferable because shipping costs are low or nonexistent, and you may be able to see items before you buy them. Don’t forget the cost of buying animals. Again, talk to multiple sellers in the area and consider all your options. Weigh the pros and cons of buying from a sale barn versus private treaty. Start looking for animals up to a year before you’re ready to purchase. If you find a herd you like, sign a contract or put a deposit on a few head to ensure that they won’t be sold out from under you. I ran into this problem last year. In January I told a local farmer I was interested in buying some stockers he was planning to sell in April. At the end of March, I inquired again and he had already sold them. Step 2: Annual operating costs. Operating expenditures are the “cost of doing business” that you will have every year. In your first year or two, you will be dealing with startup AND operating costs. 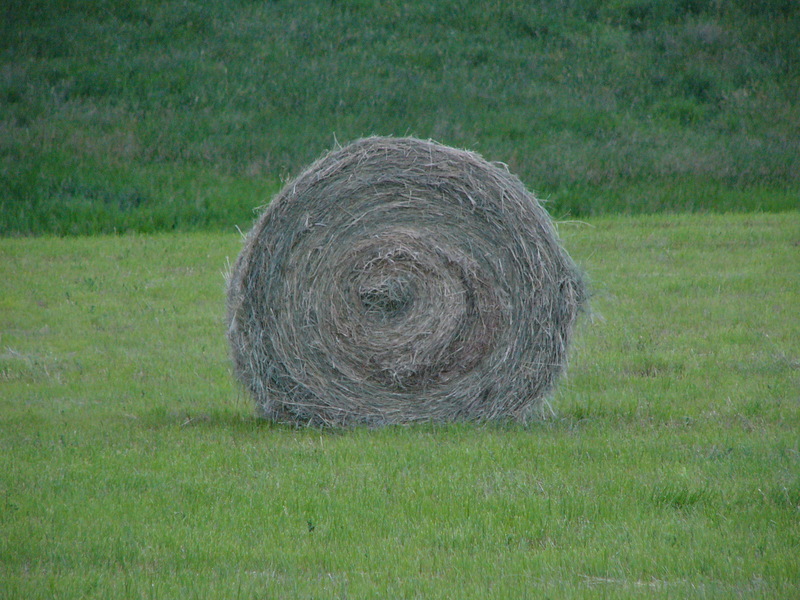 For many livestock producers, hay is the most formidable operating cost. Start by multiplying your per-animal daily dry matter (DM) intake value from your carrying capacity calculations (in my previous article) by the number of animals you’ll be grazing. This gives you the amount of DM you’ll need to supply to your herd per day, through stockpile and hay. How many days do you expect to graze stockpile? Grazing expert Greg Judy in Missouri recommends feeding hay and stockpile together. This prevents stockpile from being grazed into the dirt, and can help your grass come back up to 3 weeks sooner in the spring. Assume that your animals will get 50% of their intake requirement from stockpile and 50% from hay for that number of days. Multiply (# stockpile feeding days) x (herd daily DM intake) x (.50). This gives you the amount of DM in hay you will need for the stockpile-feeding days. We’ve updated our grazing calculator to help you estimate your winter feeding hay needs. Download it by clicking here! For the remaining days in the hay-feeding season after you’ve finished your stockpile, provide 100% of your animals’ daily intake in hay. Multiply the number of hay-feeding-only days by your herd’s daily DM intake. The answer is the amount of DM in hay you’ll need for hay-only days. Add up the total DM in hay you’ll need for the season (stockpile days plus hay-only days). Remember that although bales are dried grass, they are not 100% DM. Most bales are around 88% DM, so multiply the weight of an average bale by 0.88. This gives you the amount of usable DM per bale. Divide the total DM in hay you need for the season by the amount of DM per bale. This gives you the number of bales you need. Plan to purchase some extra bales for unforeseen situations, such as days when your stockpile is ungrazeable due to snow or ice cover. What if the fall is very dry and you can’t grow much stockpile, or the spring is very cold and your animals need hay until May or June? Hay prices are always changing, but multiply the number of bales you need by a high-side-of-average price for your area. This is your yearly operating cost for hay. Next, estimate your mineral cost. It varies greatly depending on the mineral program you use. You can choose between blocks, premixes, or cafeteria-style mineral. 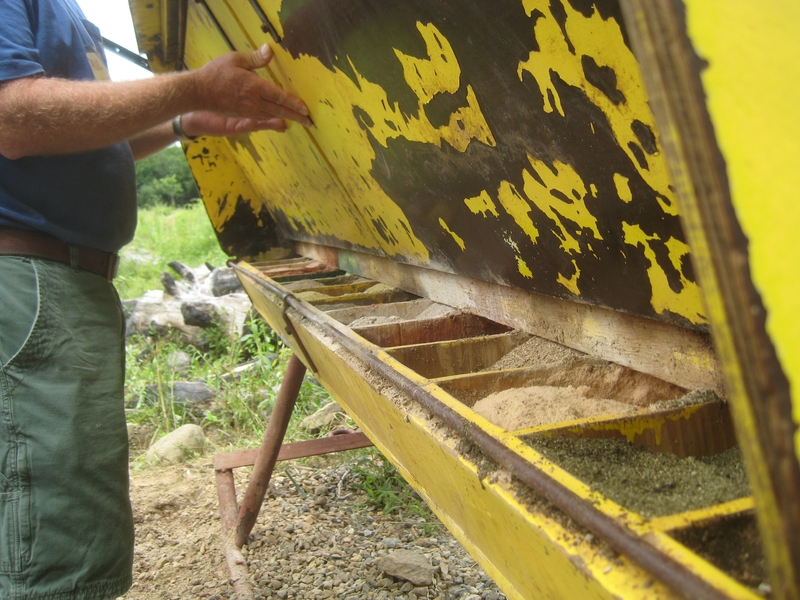 When calculating your annual mineral cost, don’t forget the cost of mineral feeders. (Usually they fall under the startup cost category.) Again, call or research a number of options from different suppliers to get the best prices. Ask a sales representative which products would be best for your type of operation, and how much each animal consumes daily. Mineral consumption usually decreases over time as your forage quality gets better, especially when using cafeteria-style mineral. Animals choose to eat the minerals that are deficient in their forage, then excrete a high percentage of it back onto the ground in manure. As a result, the minerals your land is lacking are automatically added to it. For this reason I recommend cafeteria-style mineral feeding. No one knows what your animals need better than they do. Consider purchase, maintenance and fuel for your vehicles and equipment. Figure out your approximate annual mileage and miles per gallon for each one. I suggest renting machinery from an equipment company or a neighbor in lieu of buying it for your first few years. You’ll only need things like a trencher or stock trailer a couple times per year. After your first few years, you will have a better idea of which big-ticket items you’ll use the most, and can therefore make the wisest purchases. I use an easy math problem to decide whether to buy or rent a certain item. Divide the purchase price of the vehicle or piece of equipment by the cost of every time you rent it. How many years of rentals will it take to equal the purchase price? If you’ll be retirement age by the time all your rentals add up to the purchase price, just rent. 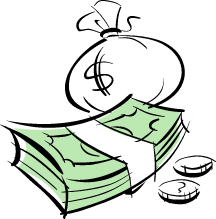 It will be one less monthly payment straining your cash flow. How much will it cost to maintain and run the equipment if you buy it? If the annual cost to maintain the equipment is equal to or greater than the annual cost of renting it, rent! Operating your own would cost the same, and you would lose the purchase price on top of it! Add up the rest of your annual operating costs, such as electricity and water bills, veterinary assistance, and tools. Don’t forget your lease payment or mortgage and taxes. The more detailed you get, the more accurate your projection will be. Step 3: Production statistics. Before you can calculate profit potential, you need to predict how well your animals will produce. Assign average values to important production variables. For example, expect a 95% calf survival rate, which will give you 95 calves to sell from 100 cows you’re feeding. Plan on buying stockers at 500 pounds, putting two pounds per day on them, and selling them at 800 pounds. Choose realistic numbers for your area and the quality of your land. Take into account pregnancy percentages, annual culls, retaining replacement heifers, start and end weights, and dressing percentage of steers. All of these factors will affect your profit. Again, you can make this as simple or as complicated as you want. Step 4: Predicting profit. Now it’s time to put it all together. Calculate how many animals or pounds of meat you will be selling, and the total sales revenue you’ll get paid (based on a local, up-to-date average price). Add up all of your operating and starting costs. Subtract them from the total revenue, and the answer is the profit you’ll take home in your first year. You might end up losing money in your first year. Don’t panic. Many businesses don’t become profitable until their second, third or fourth year because of startup costs. The purpose of the feasibility analysis is to forecast your money needs so you can plan to meet them. Growth projections for years 2-5. You can predict your farm’s production and financial climate with sufficient accuracy for the next five years. It will reveal how long it will take for your new operation to make a profit, how much your carrying capacity will increase with sustainable management, and how long it will take your property to reach its productivity potential. 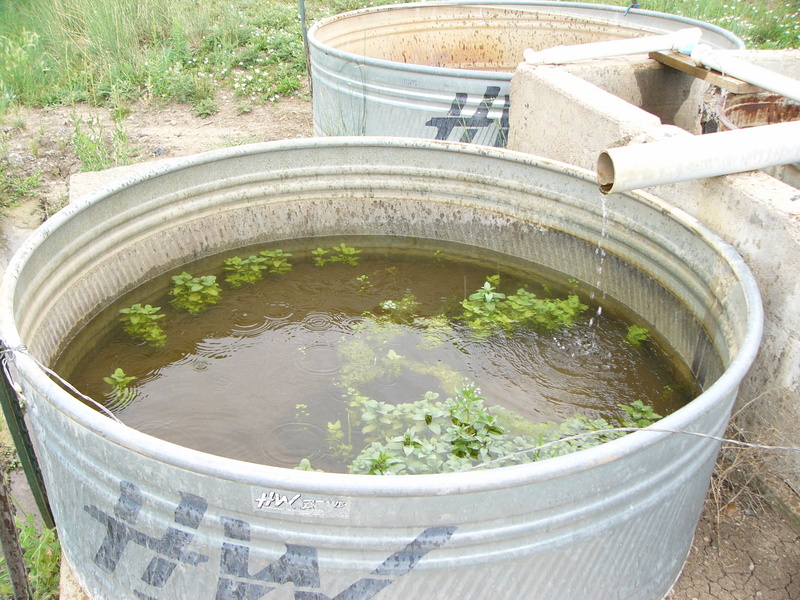 Start by increasing the amount of available forage dry matter (DM) per acre by a small amount each year. I add 200 lbs/acre DM each year for a cool-season pasture. Using these higher forage supply numbers, recalculate your carrying capacity for each year. Go back through your revenue and operating cost calculations, accounting for your increasing herd size. You can change prices for commodities, materials, fuel and animals based on market projections. Attention to detail makes a more accurate analysis. When you finish, you will be able to see how much money you’ll have at the end of each year to reinvest in growing your farm, plus give yourself a well-deserved paycheck. Planning your operation. Experiment with your analysis using different production decisions. Do revenue and cost calculations for each class of animals you’re considering (cows and calves, stockers, finishers, sheep and goats, etc.) What happens to your profit if you retain calves over the winter instead of selling them in fall? Spring calving versus fall calving? 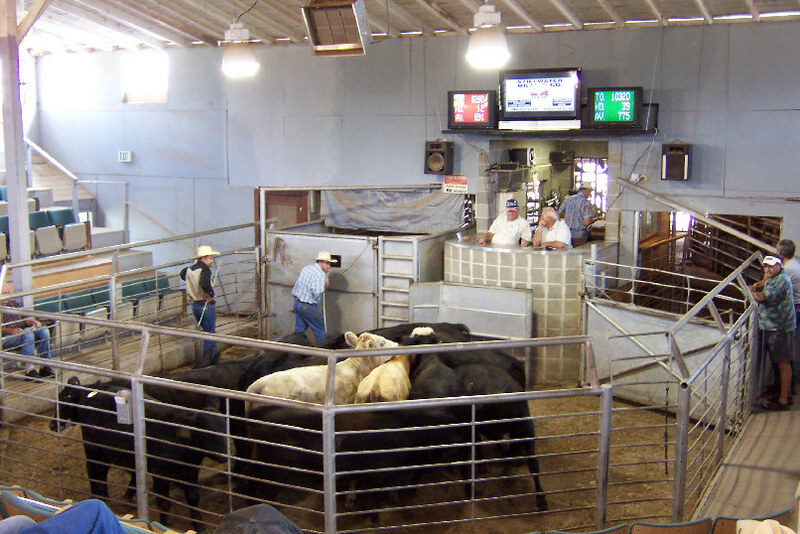 Selling fat steers versus selling meat? Artificial insemination versus keeping a bull? Will increased gains be worth the cost of buying supplement lick tubs? Make your management decisions with the goal of building the most profitable farm. If you’re looking at multiple properties, this analysis can tell you which one will best serve you financially. Negotiating lease payments. Your feasibility analysis predicts how much money you’ll have available to cover expenses every year. Therefore, it can tell you the maximum lease payment you can afford. Show your analysis to your landowner and explain that your profit will increase over the duration of the lease. This gives you leverage to propose a lease payment that starts low and increases once you’re established. Seeing the lease payment go up as your profit goes up will make your landowner feel included in your success. 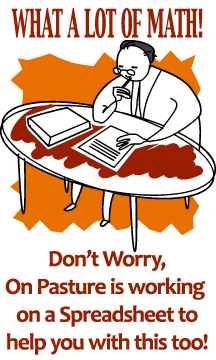 Once you have finished your feasibility analysis, it’s time to put together all of information you have gathered during your pasture search. Choose the property that best fits your plans, knowing that you’re making the most informed decision possible. Take the day off and go fishing. Then get started on the last step: writing your lease contract! Building a Sustainable Business – It’s Free! I am skeptical of the claims made regarding cafeteria-style mineral feeding. Is there any peer-reviewed research that shows production or health gains that offset the additional labor and inventory costs of carrying the many different minerals? Also, wouldn’t the fact that animals are excreting excess mineral imply that they are over-consuming? I’d be interested also to see some research to test whether animals actually DO consume the minerals they need. For instance, animals with low blood selenium levels should consume a lot of sodium selenite to correct that deficiency. Do they? The mere fact that minerals are present in the soil does not mean that they are taken up by the plant, and even if they are, that doesn’t mean that they are available to the animal. The interactions between and among minerals and the environment are incredibly complex, and I don’t know how statements by those who advocate cafeteria-style minerals that this practice will correct mineral deficiencies in the soil can be evaluated. And even if they are right, does that really mean that the animals are getting the correct mineral balance in their diets? In the end, the only thing that really matters is mineral levels in the animal tissue or blood. Are they correct, or are they deficient? If they’re deficient, are they a limiting factor on production? If they are, then what’s the most efficient way to get them up to proper levels to allow optimal health and production? My guess is that cafeteria style minerals are not going to be the answer to that question. This perspective comes from 20 plus years of trying to raise sheep on ground that has basically zero selenium. If it were true that minerals passed through the animals would remineralize the soil, you’d think that I would have seen some results by now, but I haven’t. Soil still has no detectible Se, unless I take a sample from the area immediately around a mineral feeder spill. Without doing a lot of lit review, here’s what I can tell you from folks working at Utah State University on how animals choose what to eat. In trials, sheep do try to eat things that resolve mineral deficiencies. In fact, they try so hard that it was hard to make them mineral deficient. For example, Dr. Juan Villalba was trying to test how animals respond to mineral deficiencies using his typical experimental design, with animals in their pens randomly selected for mineral deficiency or normal status. He realized he’d have to do it differently when the deficient animals began eating the poop of their neighboring normal animals before he could even get them to his target for testing them. Tests are ongoing and I’d say we are still on the edge of knowledge on this topic. There might be other info out there, but I don’t know about it off the top of my head. How this relates to cafeteria style mineral feeding…well, when I talked about it with folks at USU, we talked about how salt in mineral blocks might cause animals to limit consumption and therefore maybe not get enough of something they really need, but that’s not to say they had data. So I’ll take a look around and see what I can find for us all. Last but not least, I’m ignorant about literature on how animal excretions affect soil minerals over time. I’ll have to take a look around and see what I can find, if anything. Perhaps this is a generalization that folks make because we’ve been told that most of the vitamins we eat just come out the other end, and that we believe it because we’ve seen the color of our vitamin-laden urine. I’ll check in with our soil doc, Rachel, and get back to everyone.